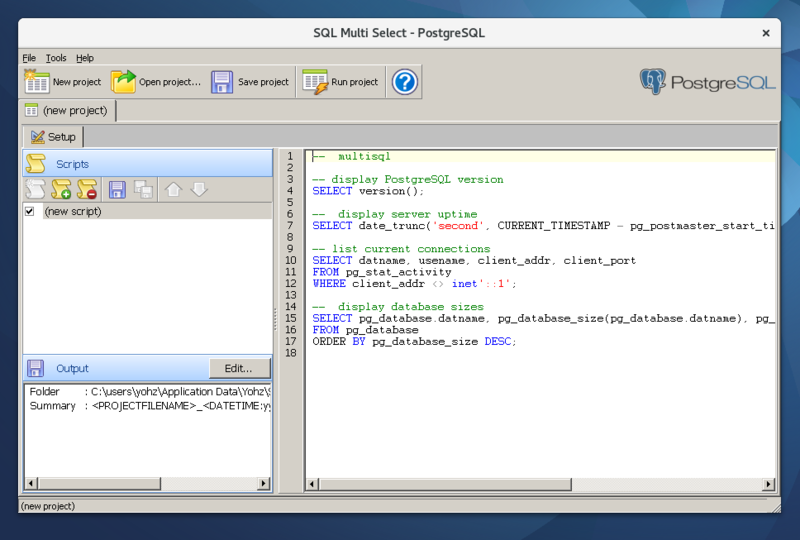 Here at Yohz Software, we receive the occasional email asking if our PostgreSQL-centric products run on Linux. Being Windows applications, our products will run on Linux but requires Wine (the software, not the drink). DB Doc has been able to run on Ubuntu since 2014, and we recently installed and ran PgComment and SQL Multi Select on Ubuntu 17.04 and Fedora 25. DB Doc on Ubuntu and Wine. There are the occasional GUI quirks, which we try to fix as soon as possible, which is why you sometimes see different text and/or images if you run the same application on Windows. If you discover any quirks/inconsistencies we have overlooked, please do drop us a line at support@yohz.com. 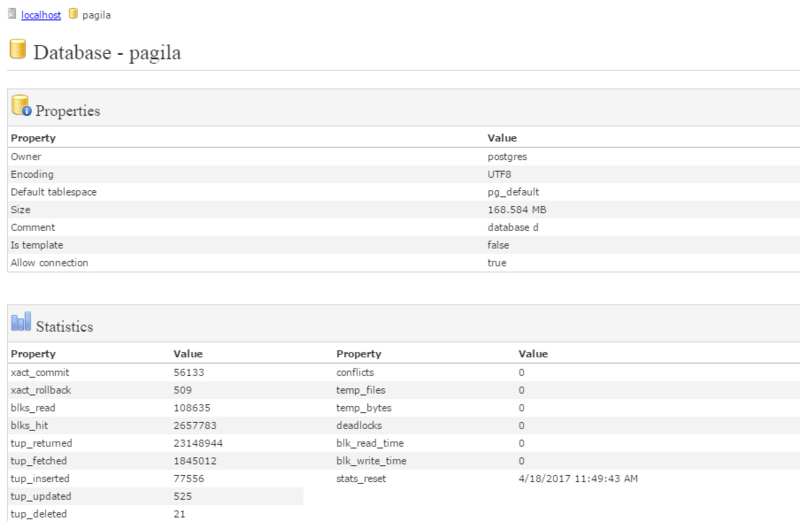 This entry was posted in DB Doc, PgComment, SQL Multi Select and tagged DB Doc, Linux, PgComment, SQL Multi Select, Wine on May 15, 2017 by bloggyadmin. PostgreSQL has a neat set of pg_stat views from which you can obtain statistics for tables, indexes, etc. 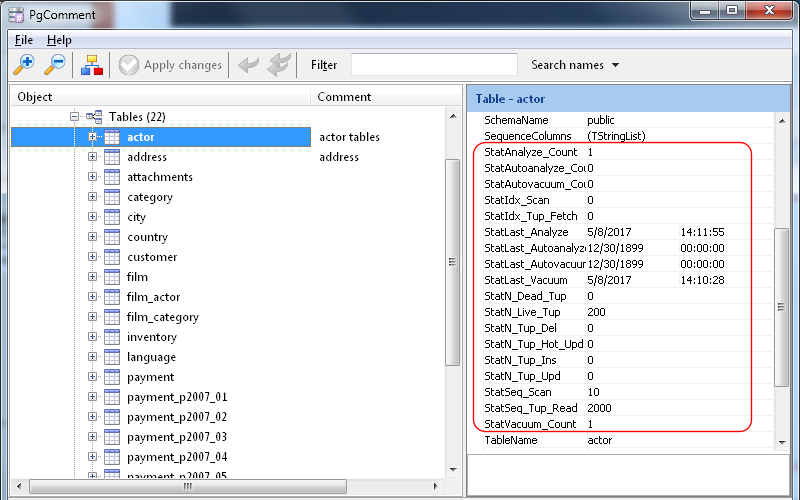 From DB Doc 4.2 and PgComment 1.2 onwards, you can now view the database, table, and index statistics in the DB Doc reports and in PgComment object inspector. and index statistics (idx_scan, idx_tup_read, idx_tup_fetch) are displayed as part of the index definitions. 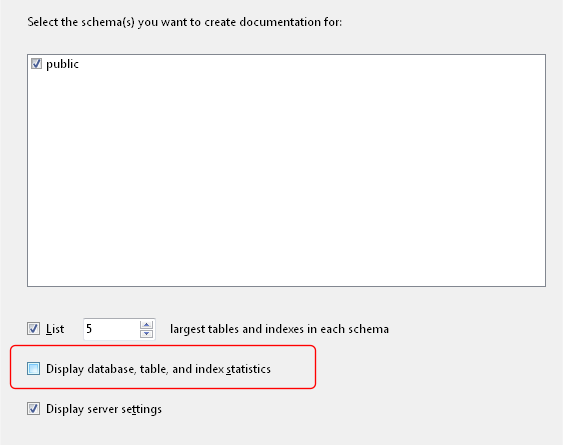 If you choose not to display the statistics, just deselect the Display database, table, and index statistics option. 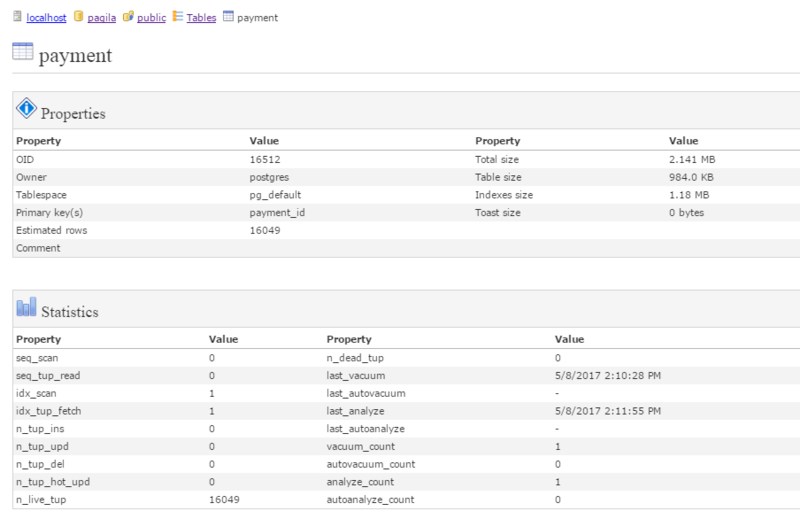 PgComment, our free tool to easily add/modify comments to your PostgreSQL objects, displays the statistics details in the object inspector window. This entry was posted in DB Doc, PgComment and tagged DB Doc, pg_stat, PgComment, PostgreSQL, statistics on May 12, 2017 by bloggyadmin. 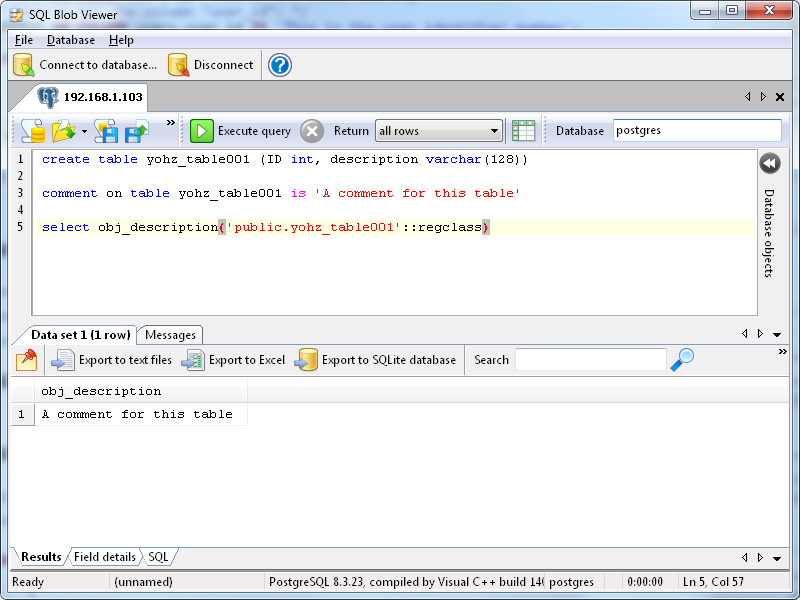 PostgreSQL has a pretty nifty feature to add comments to database objects, using the COMMENT function. 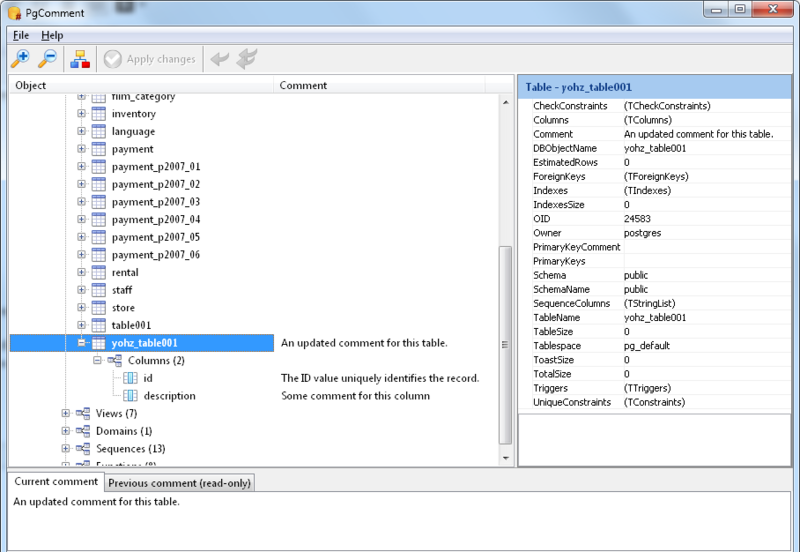 You can pretty much add comments to almost any objects, like tables, view, foreign keys, constraints, columns, etc. You add a comment using the COMMENT ON … function, then retrieve the comment using the obj_description function for most objects. For columns, you’ll need to use the col_description function. All this is rather tedious if you plan to add/remove comments for a lot of objects. 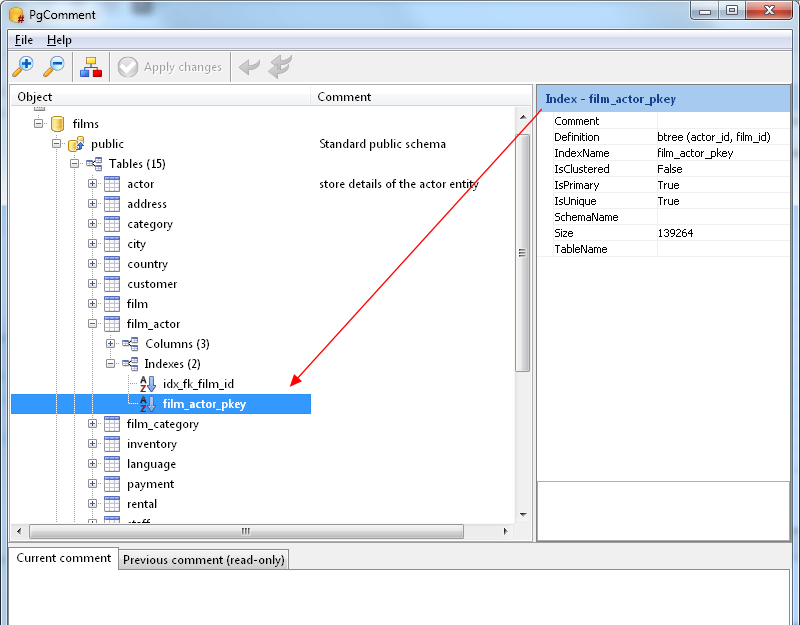 To make this task easier, we have recently released a free product, PgComment, downloadable here. With PgComment, you just connect to your database and the application will list out all the comments attached to your tables, columns, indexes, views, sequences, domains, and functions. 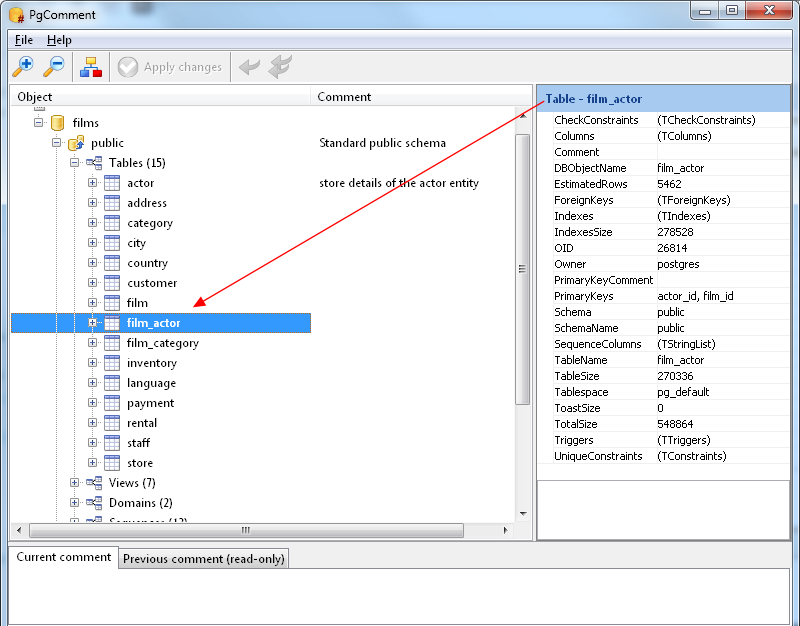 You can then easily modify the comments, and apply them to the database. Changes are cached, and sent to the server in a single batch, allowing for faster editing locally. 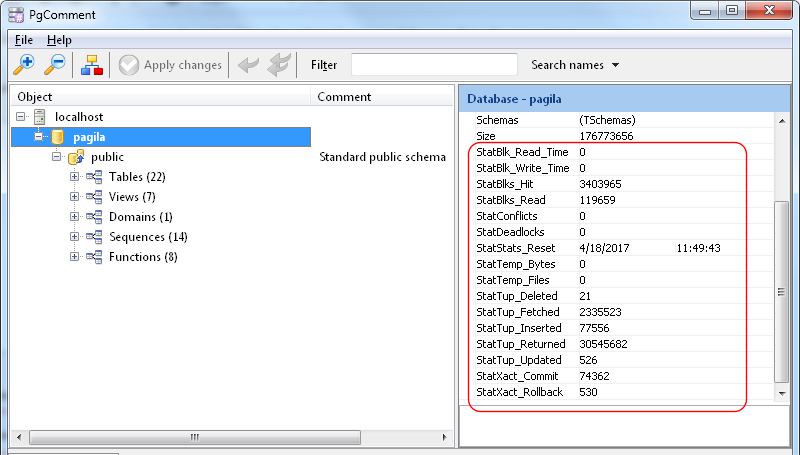 With the schema displayed in a hierarchical tree, you get an overview of what’s been commented and what has not. This makes it so much easier to document your PostgreSQL database. 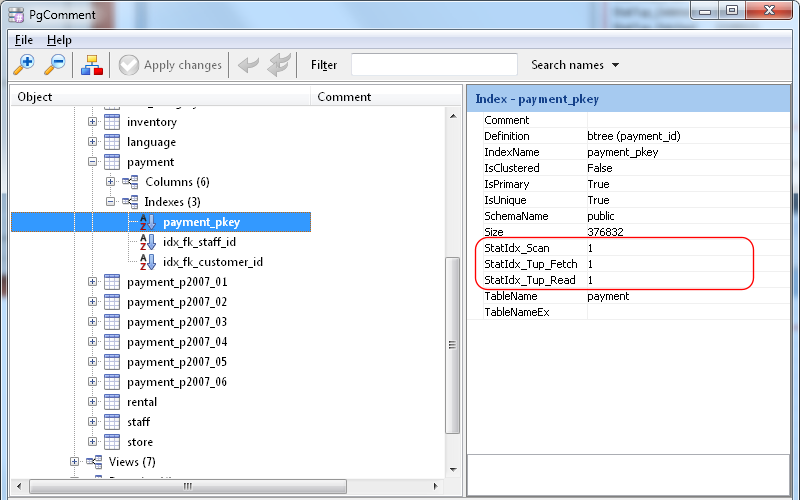 Another feature of PgComment is that you can view the properties of your database objects. For tables, you can see details like the owner, total size, index size, estimated rows etc. For indexes, you can see details like the index definition, index size, and various other properties. Displaying these properties should help you write better comments for your objects. If you want to generate PDF or HTML reports of your PostgreSQL database schema, take a look at DB Doc. 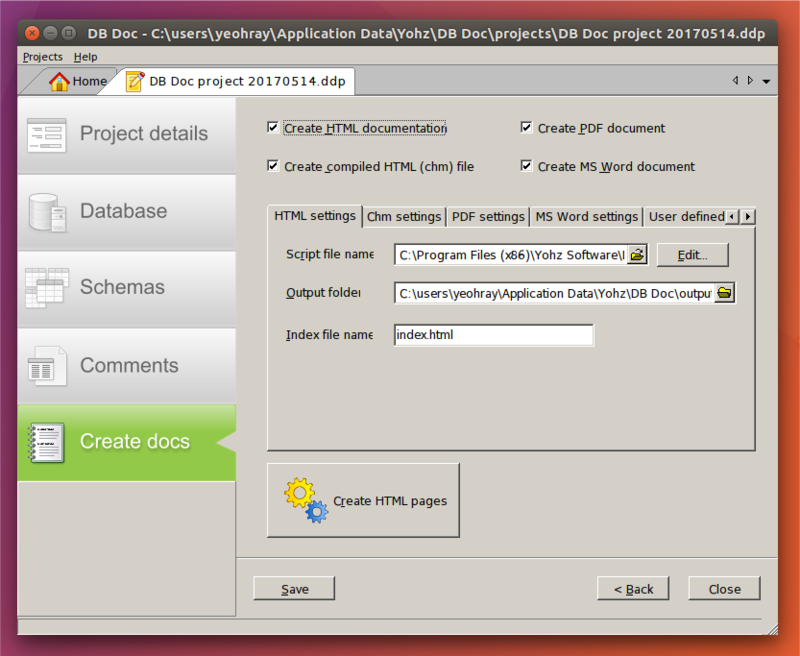 With DB Doc, you can generate customizable PDF and HTML schema reports in just a few clicks. This entry was posted in DB Doc, PgComment and tagged DB Doc, PgComment on April 7, 2017 by bloggyadmin.